That woman is always up to something creative and beautiful. Her latest collaboration is with stylish online invitation company, pingg. You'll find beautiful images to use for e-invites or printed invitations--so many that you'll have a difficult time choosing. I love her collection of "easter" images. If one were going to host a hunt, these would be lovely invitations to use for the occasion. Oh, and did I mention the online evites are free? 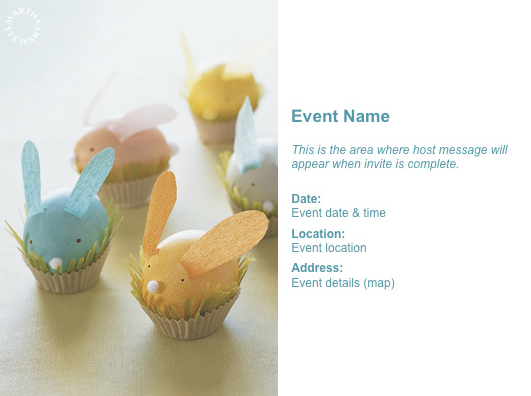 But, of you wanted to opt for the printed invitations (who doesn't love a pretty piece of mail?) then use this coupon code to receive 20% off your order--"print20".